The property comprises of a welcoming entrance hallway which offers access to all rooms and a large storage cupboard. There is an extensive bright lounge with dual aspect to the front and rear of the property. Double glazed french doors lead to the sun balcony with private open outlooks. 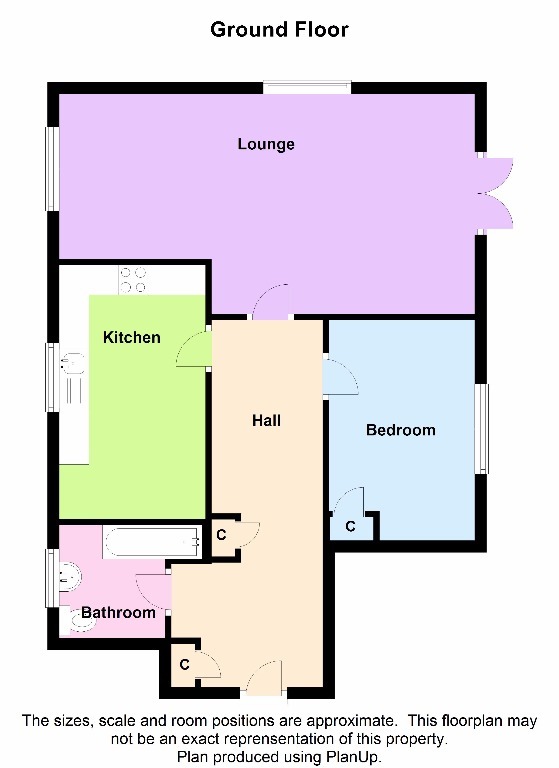 There is a modern fitted kitchen and re-fitted bathroom as well as a generous sized double bedroom with built in storage. The property has been recently decorated with modern neutral colours. There is electric heating supplied by modern slimline panel heaters and double glazing throughout.